The mega-fight between Floyd Mayweather Jr. and Manny Pacquiao will take place before the summer of 2015, said ESPN pundit Stephen A. Smith. Following his victory over Chris Algeri earlier this month, Pacquiao publicly called out Mayweather for a fight. Smith claimed Mayweather is not afraid of fighting Pacquiao, but he said there were other reasons why the two have never met each other in the ring. “I had somebody that’s connected to Floyd Mayweather’s people tell me that Floyd offered Bob Arum ten million dollars to essentially step out of the way,” he said, via FightSaga. Arum, the longtime boxing promoter, represents Pacquiao. 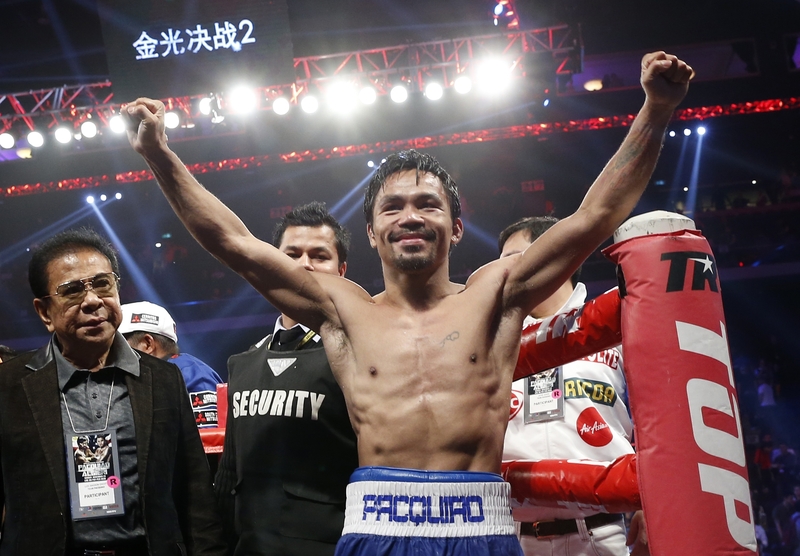 His camp is said to be at odds with Pacquiao’s camp. “If Floyd was scared, he wouldn’t be doing such things. I don’t believe that he’s scared by any stretch of the imagination. But I do believe the pressure is mounting for Mayweather,” Smith continued. Smith then predicted a 2015 bout between Mayweather and Pacquiao, saying that Mayweather will be victorious should the two fight. “I believe Floyd Mayweather will sign to fight Manny Pacquiao, and I believe it will happen before June of 2015, and I believe Floyd Mayweather will take him out,” he stated. Meanwhile, Mayweather on Wednesday took shots at Pacquiao on Instagram. He posted Pacquiao’s last fight against Juan Manuel Marquez, showing him getting knocked down several times. In the background, Queen’s “Another One Bites the Dust” can be heard playing. He also described Pacquiao as “desperate” and “broke,” and in need of a fight.